Learn more about website content survey templates below. What is a website content survey? A website content survey is a survey that measures the performance of online content, such as product information (product descriptions, videos, images), blog posts and support pages (FAQs, instructions, knowledge bases). These types of surveys help you discover if the content you’ve provided is helpful for your customers as well as on which pages your customers are struggling to find the information they need. Why is it important to measure website content? There are many reasons businesses collect feedback on their website. They want to be sure their customers don’t become victims of technical issues that might drive them away, such as login problems, download errors and bug reports. And while these technical flaws are heavily consequential issues in terms of website performance, it’s important to consider the other side of things as well: the website content your customers use to make purchase decisions as well as find information regarding products or services. 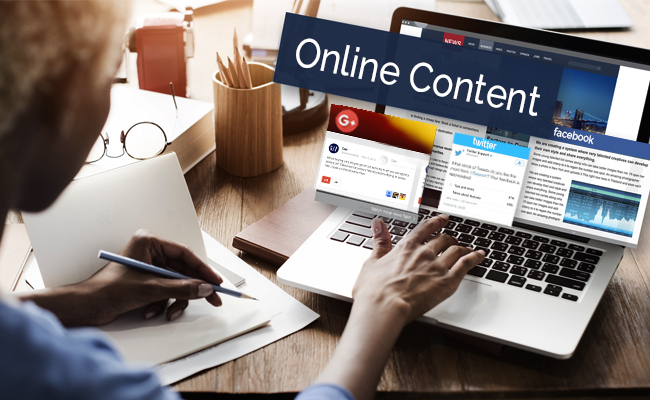 Measuring website content can help you improve content regarding a product or service, enhance online support services for your customers (FAQs, instructions, e-manuals), and improve the quality of written content. 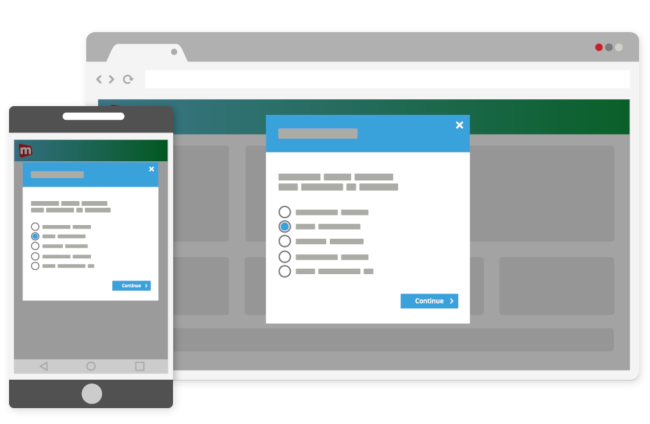 Content performance surveys are the perfect way of keeping things like product content, online support features and blog posts in tip-top shape. 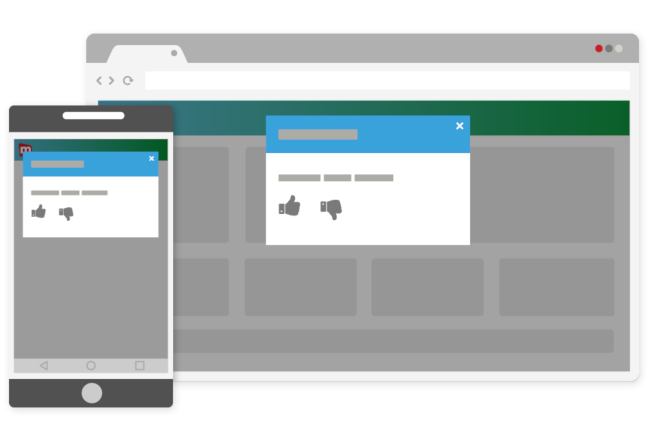 This is a quick and easy way to collect feedback on your website content. It helps you discover if the content you’ve provided is helpful for your customers as well as on which pages your customers are struggling to find the information they need. Content satisfaction surveys give users insight into how satisfied their customers are with overall content, including product content, homepage content, page navigation and layout. Surveys that measure content satisfaction give you in-depth feedback on how your customers experience your content. 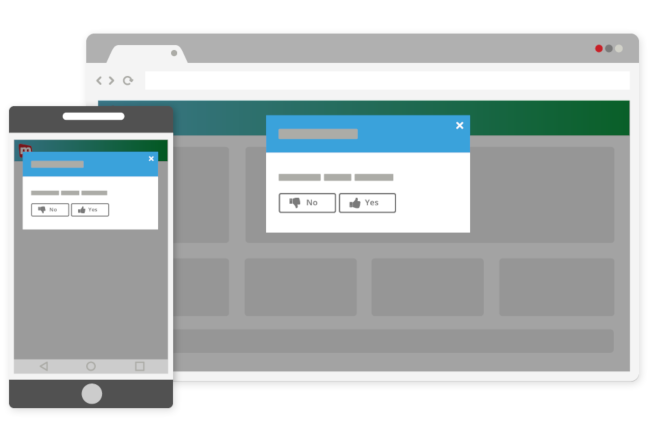 These surveys let you see how frequently a particular user visits your site, along with what they think of your homepage content, page navigation, product content and more.